Statham’s third film with Simon West following The Expendables 2 and The Mechanic, Wild Card was originally called The Heat, and had Brian De Palma attached to direct at one point. Goldman’s screenplay is based on his 1985 novel of that latter name (published in the UK as Edged Weapons), and was filmed once before to disappointing results. The 1986 version starring Burt Reynolds went through an incredible five directors, including Robert Altman, who only stayed for a day. Predictably, the end product was not a success, so for all concerned, and especially Goldman, perhaps this is less a remake and more an opportunity to get it right this time. The story involves Statham as an ex-gambler turned bodyguard in Las Vegas, who provides expensive protection to high-rollers that can afford him. He prefers knives and fists over guns as his professional weapons of choice. When a particular friend of his is almost killed in a beating from a mobster, he takes personal affront and vows revenge. Sofia Vergara, Stanley Tucci, Jason Alexander, Milo Ventimiglia and Anne Heche are among the impressive supporting cast, and Wild Card is out in the US and much of Europe at the end of January. A UK release date is so far elusive. 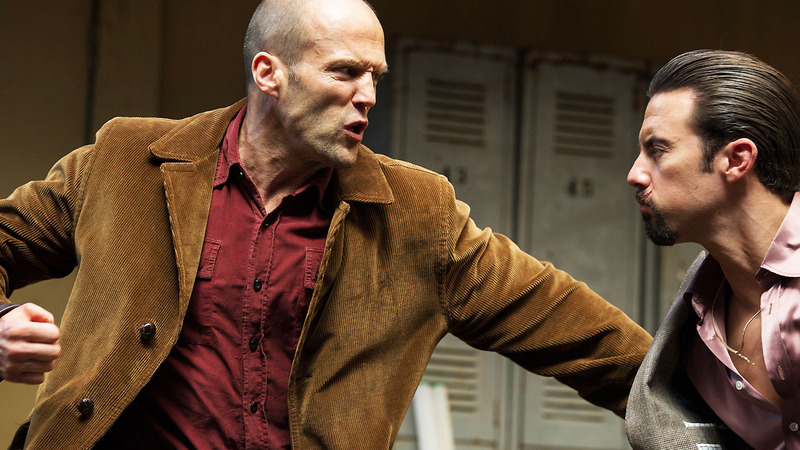 Previous PostThe first trailer for the next Jason Statham action film, WILD CARD is here! New Writer for Ghostbusters 3!